Harley Davidson prices to get cheaper - sets up a local manufacturing unit! All you Harley Davidson fans who have been distressed and disappointed over its sky high prices, here is a reason to cheer. Harley Davidson is planning on setting up a 70,000 sq. feet assembly plant in the first half of 2011 for select models in Bawal, Haryana. This has been in pipeline for more than a year now. Harley models start at Rs 6 lacs and go on till Rs 34-35. This high cost is in part due to the 60% import duty on completely built units (CBU). But since it is only 10% on completely knocked down units (CKU), the sky high prices are expected to come down considerably. The market for superbikes in India is about 1000 units per year. This move is expected to increase Harley’s share in this segment as they have set an ambitious target of selling at least 250 of their bikes by December this year that is in just 6 months of their operations. Most of their customers are in the age group of 35-40. This is in complete contrast to the public view of their customers being young and brash. One more interesting aspect to their success is the fact that their customers come from various backgrounds like IT professionals, doctors, HR heads, real estate consultants etc. Currently Harley has outlets in Delhi, Chandigarh, Hyderabad and Mumbai and is planning at opening outlets in many Tier – II cities. This is growing proof of its popularity across the country albeit in a small way. So what is the advantage of opening up an assembly plant in the country? 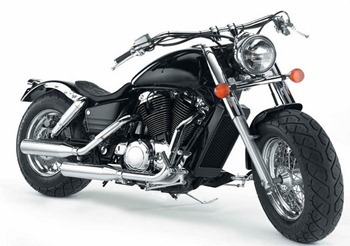 The biggest advantage is the low cost Harley would incur and thus it would be passed on to the consumers. This would bring their models at a much affordable price compared to the competitors. This is also Harley’s acknowledgement of India’s growth potential in terms of disposable income as well as spending power. India’s millionaires are increasing at crazy pace and Harley wants to be a part of this growth. But then the ride ahead won’t be smooth enough as Ducati, BMW, Honda, Yamaha and others are looking at setting up operations in December too. So are you ready for the mean machines? Top Free SMS web-sites in India! I LOVE THESE BIKES,, AND BUY ONE OF THEM. I doubt if the prices will drop. Even in the US a HD is the price of a small luxury car! They are not aiming for mass selling like Hero Honda!! Yes they need to diversify their manufacturing bases around the world to more effectively target world markets and drive down costs overall. Does anyone know if they have a setup in China? Yeah the prices will drop relatively. Obviously it will still be really expensive. And I agree with your observation that they are not going for mass selling. Obviously with such amazing features and looks, their aim is the rugged, adventurous enthusiast who has the money to spend. Yes they opened their first dealership in China in 2005 and today have four dealerships. But I don’t think they have a manufacturing setup there. If the low price is due to the duty diff between CKD and CBU, then its good. If they want to dilute quality by low cost parts, it will not be the same HD. More over its a good business idea for HD. To have a plant in India (low cost assembly) to cater to nearby markets too.